Death Note. . HD Wallpaper and background images in the Death Note (Anime) club tagged: death note anime series l light yagami misa character. 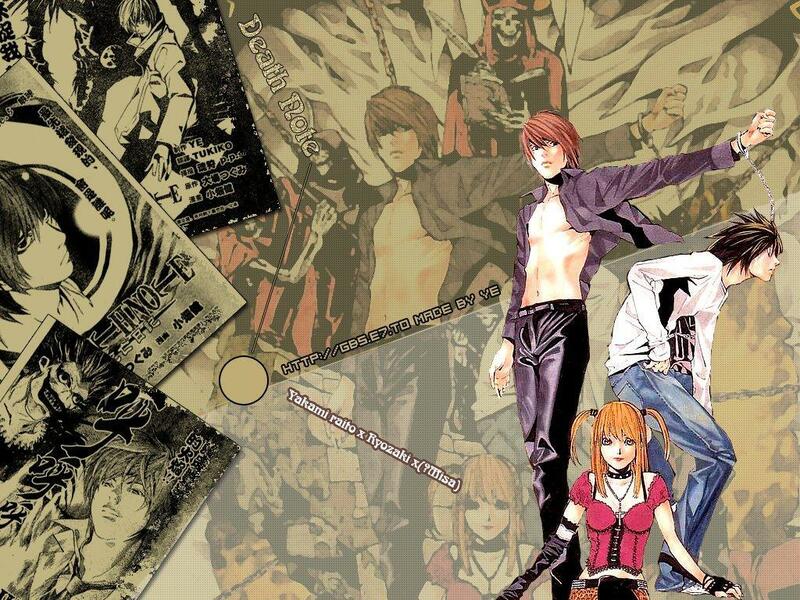 This Death Note (Anime) wallpaper might contain anime, comic, manga, cartoon, comic buch, karikatur, and comics. Essen pYramid!!!!!!!!!!!!!!!! THE L WAY! !